I'm close to finish my first DYI project. But a never seen issue on the breadboard has apprear as soon as assembled. The LCD is always / totally blank/black. When I remove the 4.7 K ohm pull-up resistor from my 2 temperature sensors 18b20 the LCD works like a charm but temperature sensor doens't work. If a reconnect the pull-up resistor when the LCD is OK the temperature is displayed. So it could be a wrong initialisation in my code (maybe during last cleaning) Or a bad way to do this with my sensors and resistors. I have theory but I'm quite a noob on electronic. What do you think I can do to resolve that ? It's a LoLin card an not a Wemos. 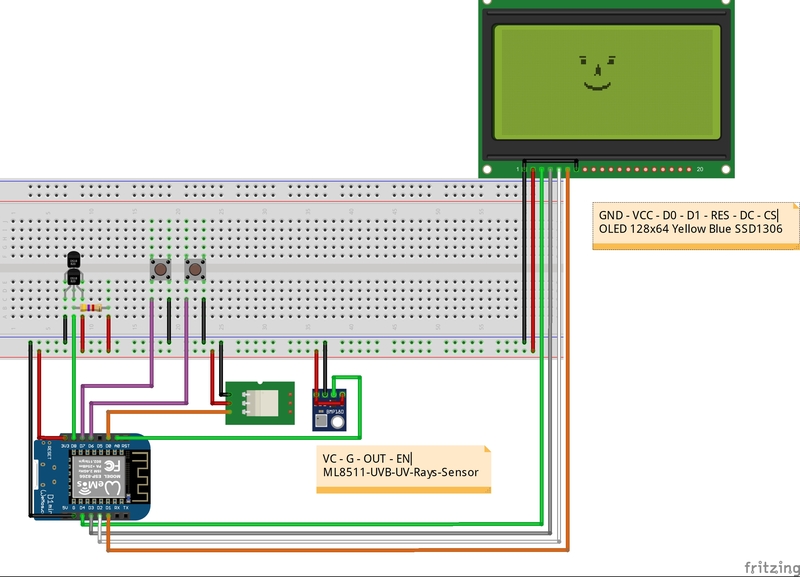 Browse other questions tagged i2c temperature-sensor u8glib or ask your own question.